between 2016 and 2017, says the report. 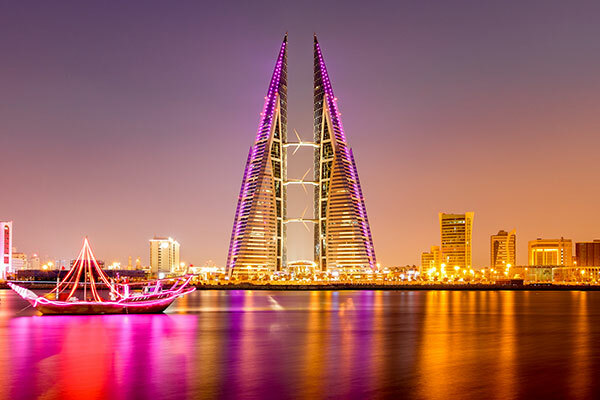 Personal wealth in Bahrain is projected to grow at a compound annual growth rate (CAGR) of 4 per cent and expected to reach $54 billion in investible assets by 2022, said a new report by The Boston Consulting Group (BCG), a global management consulting firm. Personal wealth in the Middle East rose by 11 per cent to $3.8 trillion in 2017, a significant increase compared with the CAGR for the previous five years, added the study titled “Global Wealth 2018: Seizing the Analytics Advantage”. In comparison, personal wealth in Bahrain has grown at 7 per cent between 2016 and 2017. In 2016 to 2017, private wealth was driven primarily by the positive development of offshore assets. Private wealth continued to experience positive growth between 2016 and 2017 (8 per cent), and this growth is projected to remain steady over the next five years, the study highlighted. According to the report, global personal financial wealth grew by 12 per cent in 2017 to $201.9 trillion in US dollar terms. The main drivers were the bull market environment in all major economies—with wealth in equities and investment funds showing by far the strongest growth—and the significant strengthening of most major currencies against the dollar. “BCG research suggests that over 70 per cent of wealth management clients see hugely personalized services as a key factor in deciding whether to stay with their current provider or switch to another,” said Markus Massi, senior partner & managing director of BCG Middle East’s Financial Services practice. “Taking an in-depth look at wealth distribution, Bahrain non-investible assets are not expected to experience any growth at all in the next five years, while investible wealth growth is projected to slow down from a CAGR 7 per cent between 2012 and 2017 to a CAGR of 4 per cent in the period 2017 to 2022,” explained Markus Massi. “When it comes to asset allocation, offshore assets, at 59 per cent, were the highest proportion of assets in Bahrain in 2017, followed by currency and deposits at 33 per cent, equities and investment funds at 6 per cent, and life insurance and pensions at 1 per cent, and bonds at 1 per cent. By 2022, asset allocation will have remained constant with only slight growth of 2 per cent to 35 per cent expected for currency and deposits,” Massi added. At 9 per cent, offshore assets drove growth by asset class between 2016 and 2017 in Bahrain. Other drivers of asset class growth included currency and deposits at 5 per cent, bonds at 4 per cent, and equities and investment funds at 1 per cent. Looking to the future, growth by asset class is expected to experience a slightly slower, but steady growth with currency and deposits at 5 per cent, offshore assets at 4 per cent, bonds at 3 per cent and equities and investment funds at 2 per cent CAGR over the next five years. While offshore share is expected to decline slightly over the next five years from 58.6 per cent in 2017 to 57.7 per cent in 2022, it will continue to grow at a CAGR of 4 per cent to reach $31 billion in Bahrain in the same period. In general, developed markets held a higher share of wealth in non-investable assets—particularly pension fund entitlements—than developing markets. The share of global wealth held by millionaires increased to almost 50 per cent in 2017, compared with just under 45per cent in 2012. If recent patterns of wealth expansion continue, under an optimistic scenario, personal financial wealth could rise at a compound annual growth rate of around 7 per cent from 2017 to 2022 in US dollar terms.